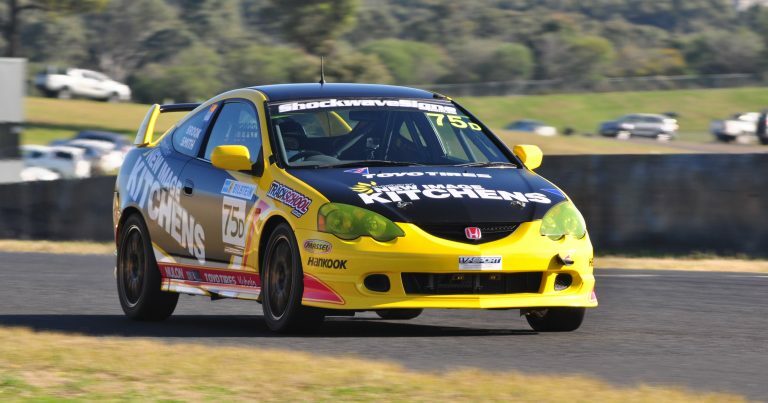 Twenty-year-old Daniel Smith is the toast of the Shockwave Signs Production Touring Car Championship paddock today, after defeating Jimmy Vernon, to win the 2017 CAMS NSW State Championship at Sydney Motorsport Park yesterday. 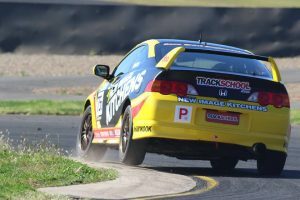 The victory for the Class D Honda Integra, is the third time that a Class D car has won the overall championship in the last four years, and is Smith’s first championship in his short racing career. The Shoalhaven Kitchens/Trackschool driver went into the weekend with a ten-point advantage over Vernon, and extended his advantage to 11, by taking the solitary point available for pole position in Qualifying on Saturday morning, clocking a 1:48.4443, fractionally ahead of Vernon on a 1:48.4800. 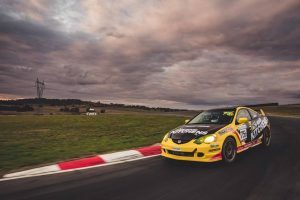 With only three Class D entrants for the final round of the season, the task was as simple as it could be for Smith – just finishing the three races would see him secure the championship. 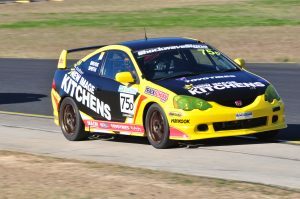 Smith went on to enjoy a faultless weekend, capping an extraordinary season, in which he finished all races he started, and did so within the top three of Class D.
The racing between Smith and Vernon was the closest it had been all season, with Jimmy really taking the fight to Daniel, who was forced to work hard to ensure the championship would be his. 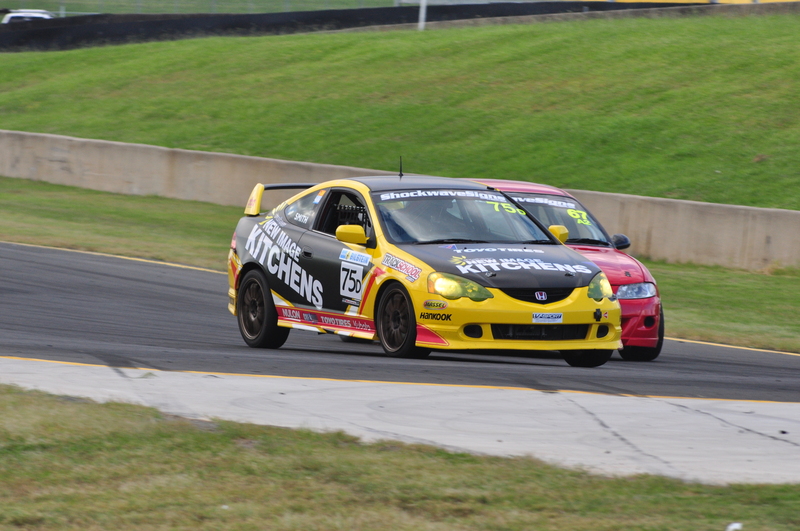 Just half-a-second separated the pair at the end of Race 1, which was contested over seven laps. The battle for 18th and 19th outright saw Smith get the upperhand on Vernon, and further extend his championship lead in the process. Trevor Symonds won the opening race, but all eyes were on the Class D combatants, who were vying for their first championship victory. 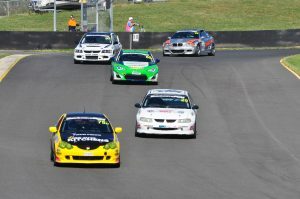 Race 2 took place early Sunday morning, and again Smith and Vernon were glued together, but on this occasion, the more experienced Vernon edged out his rival, who was only three-tenths of a second away after seven laps of hard fought racing. Daniel and Jimmy finishes races 1 and 2 side-by-side was really fitting, given they were the two drivers going head-to-head for the title. In what has been a season long battle, they each saved their best for last. With two finishes under his belt, Smith had one hand on the title, and only a retirement in the final race would see Vernon walking away as the Champion. 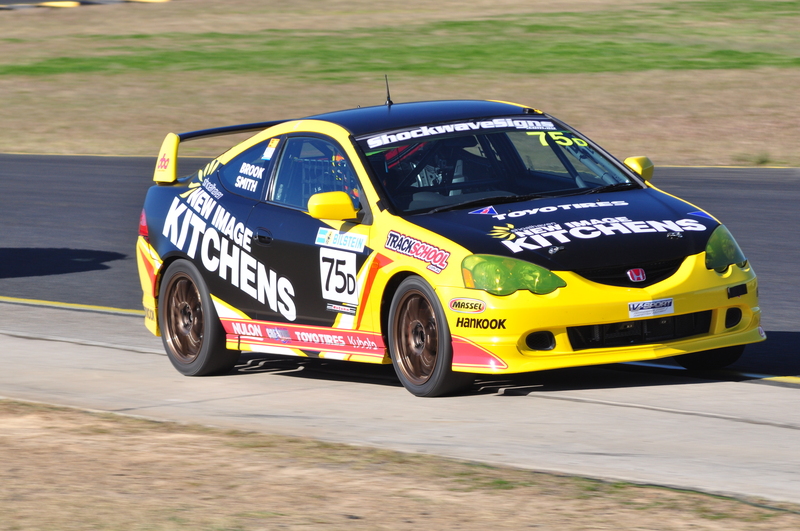 The final race wasn’t as closely fought as the first two, with Vernon breaking clear, and cruising to a comfortable class victory, claiming 15th outright in the process, but three positions, and eight seconds down the road, was the Shoalhaven New Image Kitchens Honda Integra of Daniel Smith, who claimed 18th outright, second in class, and in doing that, put his name into the record books, as the winner of the 2017 Shockwave Signs NSW Production Touring Car Championship. Victory in his class is one thing, but outright victory was the icing on the cake, of what was a remarkable season for the young man, who ended Chris Reeves’ 3-year reign as the Class D champion, and deprived Matthew Holt of back-to-back titles. 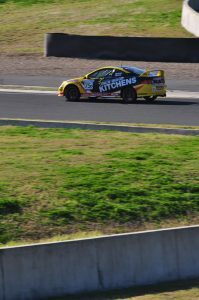 Despite not competing in the opening enduro at Lakeside Park in Queensland, Smith still managed to secure fourth spot in the outright Club Championship for 2017, and walks away with Class D honours again, as well. 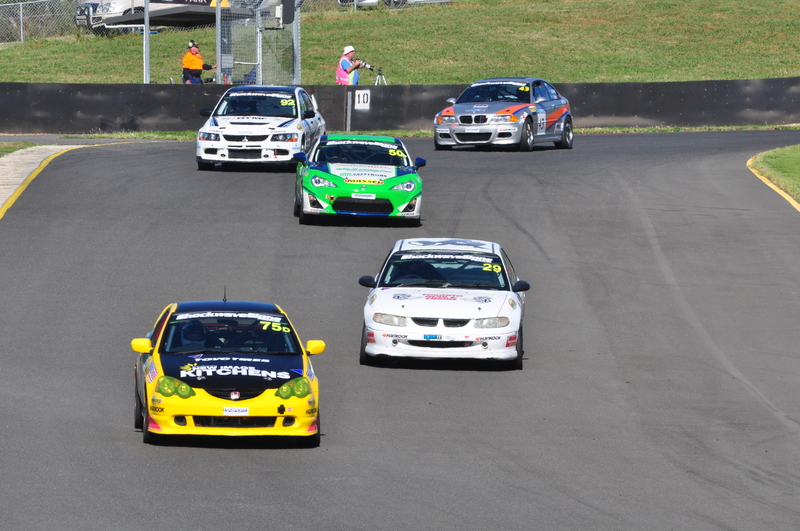 In recent times, the series has grown a reputation for being the premier tin-top category in the state, and if the young up and coming drivers aren’t starting their careers in open-wheel racing, they’re start in the Production Touring Car Championship, but Smith’s rise to the top of the podium is the first time that one of those up and coming stars has won the outright State Championship contest – a real testament to the series, and its ability to blood young talent, and give them a stage in which to develop and improve on. Smith received tremendous support from Trackschool Trackdays, Shoalhaven New Image Kitchens, Dave Oliver Photography and CrossFit Shoalhaven throughout this campaign, and who’ll ever forget his famous chopper ride from Goulburn to Sydney just to ensure he could compete in the enduro at Sydney Motorsport Park only an hour after competing in the last race of the APRA Series round on the same day. THAT was a championship defining moment. 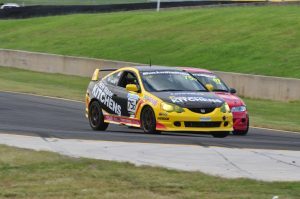 The Production Touring Car win was a MEGA result for Smith, who’ll look to carry the good form into the final round of his Pitcher Partners NSW APRA Series campaign, at Wakefield Park on the opening weekend of December. 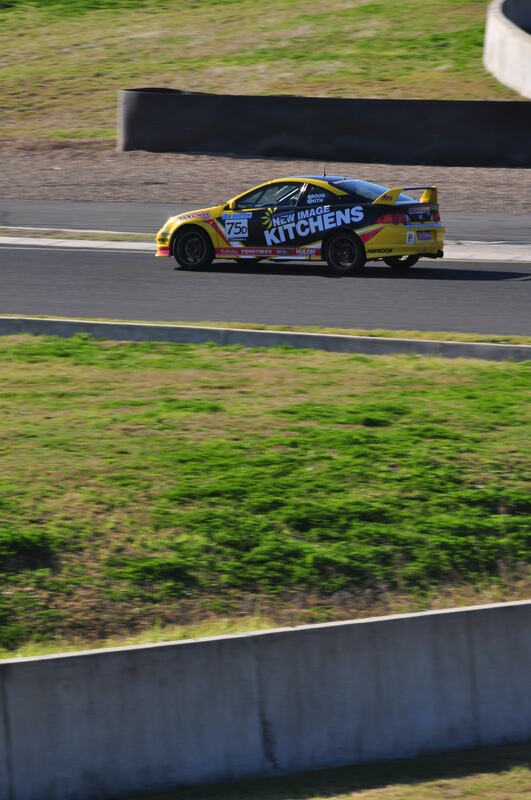 Smith sits third on points, behind Matthew Boylan and Josh Heath, after claiming fourth in the last round of the series, and remains in title contention, with double points on offer in the season finale.